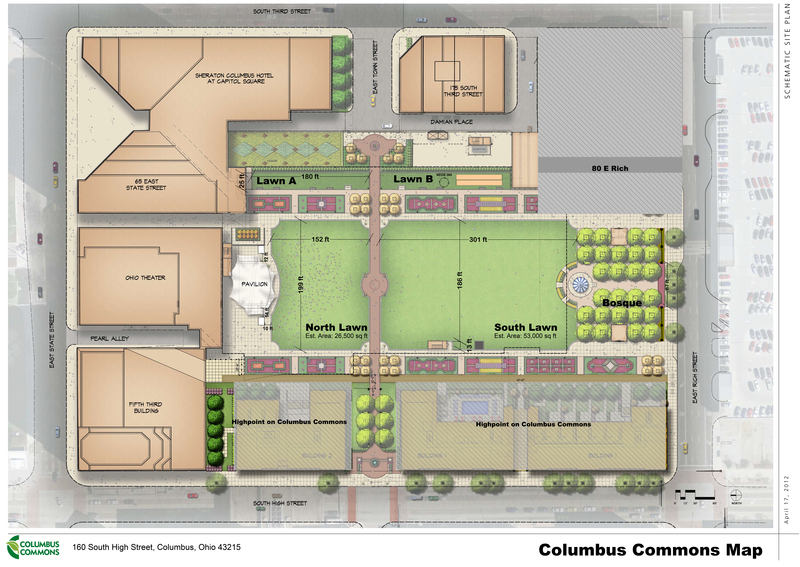 In addition to hosting over 200 free events, Columbus Commons also rents space to large-scale community events. Fill out a form and Columbus Commons staff will be in contact within seven days. Thank you for your interest in hosting an event at Columbus Commons. Applications must be complete before we can evaluate your event. Rental locations can be viewed on the park map. Our rate schedule can be previewed here. Every event is different, and a detailed estimate will be provided if the planning process moves on. Please note our event season runs from late April to October - events requested outside of this timeframe will not be considered. Our 2018 season is full - requests submitted at this point will be considered for 2019. Will you be the onsite contact? Columbus Commons park hours are 7am to 11pm. Additional fees may apply for any setup and teardown time that occurs outside of park hours. Is your date flexible? If so, please describe. If the event has any sponsors or partners, please list below. Please check all boxes that apply to your event and provide details where requested. Equipment Rental, Number and Size (e.g. tents, tables, chairs). Please note that you are responsible for securing all City Fire, Health and Building & Zoning permits.